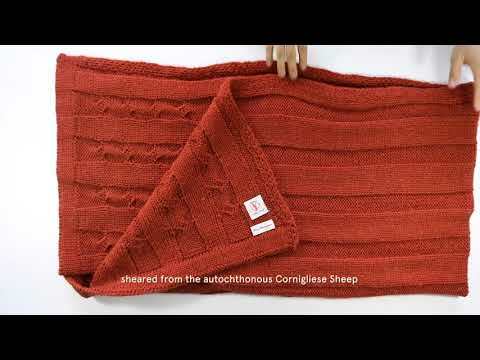 A warm, robust Cornigliese Cloth, made of our exclusive and autochthonous Cornigliese Sheep wool. It lasts a lot thanks to a thickness of about 31 micron, it doesn't produce pilling, doesn't need to be washed. Thanks to its yarn-dyeing it beautifully matches any modern and vintage home. Hand-knitted in Parma with a creative chequered knitting, inspired by our grandmothers. Cold water wash, iron soft. Dry wash is preferred.